After 27 years running Trericket Mill Vegetarian Guesthouse, we have moved 5 miles down river to the pretty village of Glasbury-on-Wye. Vegetarian bed and breakfast at Glasbury B&B in our lovely new cottage, Rosedale. 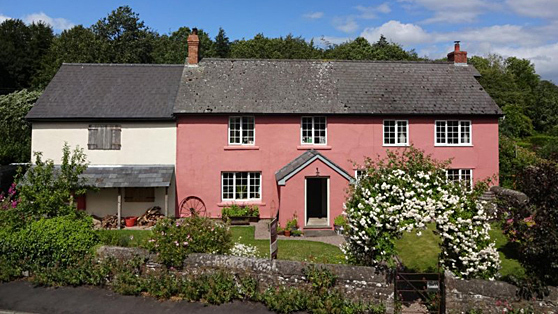 River Cabin self-catering set in the orchard adjacent to Trericket Mill, Erwood, which sleeps up to 4 people in one bedroom. 3 camping pitches in the orchard adjacent our River Cabin at Trericket, Erwood, LD2 3TQ. Available Easter to October including one area for a small campervan (advance booking essential). And we also have camping. Rosedale, Glasbury-on-Wye, HR3 5LN, Wales, UK.